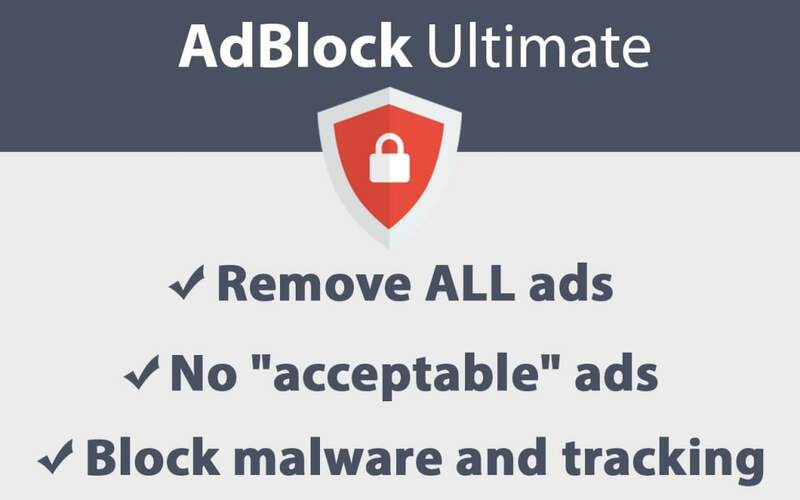 AdBlock Ultimate for Chrome is a free browser extension for Google Chrome, which automatically blocks adverts. It is simple to install, works automatically and blocks video ads, banner ads and even adverts on social media sites like Facebook. Unlike many other extensions and applications of this type, it does not come with a built-in list of 'acceptable' or 'white-listed' ads, providing more comprehensive ad blocking as a result. However, a small number of ads may avoid detection and the extension does very occasionally produce a pop-up of its own, asking for feedback, although even this is relatively unobtrusive. 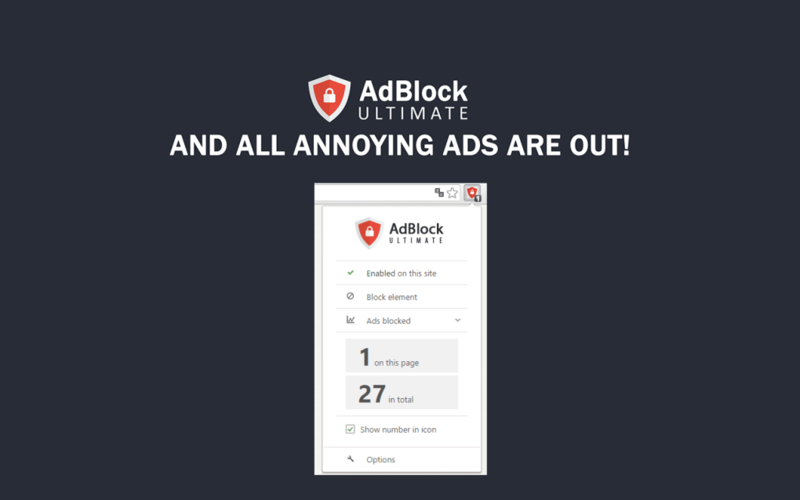 AdBlock Ultimate is designed with a single purpose in mind to stop annoying ads and focus your attention on the content you want. AdBlock Ultimate is a free extension that blocks ads and malicious domains known to spread malware, disables tracking. We have included a few extensive filters that offer decent protection against annoying, flashy ads, YouTube commercials, and more. Unlike other adblockers we do not whitelist websites, advertisers or ad networks to show you unwanted ads. Blocking ads will speed up your website load speed, decrease CPU and memory usage. AdBlock Ultimate is one of the few addons that actually does the work it is supposed to. It actually blocks all ads, unlike other addons of the type. Most adblockers, have whitelists for advertisers and some ads actually are shown. AdBlock Ultimate doesn't have any whitelists and don't rely on any sponsorship at all. Does block all ads. Finally, an adblocker that DOES block ads. The most popular adblockers used to do that, but now all have whitelists with websites, where they don't block anything. Works on all websites I use. What do you think about AdBlock Ultimate for Chrome? Do you recommend it? Why?